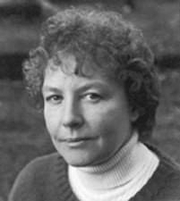 Jane Robotham started writing contemporany romances as Claudia Bishop (do not confuse with the pen name as Mary Straton who wrote mystery novels). Jane Robotham was born on 1945 in Cairo, Egypt, where her British parents were stationated. She grew up in New Forest, on the south of England. She earned a Master’s Degree in Applied Social Studies from Oxford University. In 1978, she, her husband and their three children moved to New Jersey. There, she worked as a social worker. She began writing in 1981 after another move, this time to Washington, D.C.
Jane Feather is currently considered a "single author." If one or more works are by a distinct, homonymous authors, go ahead and split the author. Jane Feather is composed of 5 names. You can examine and separate out names.